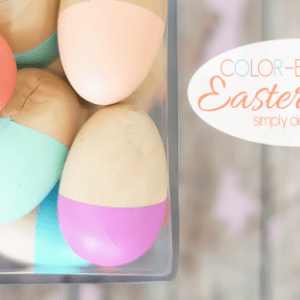 I am so excited to reveal what I was making today! I absolutely love how it turned out! 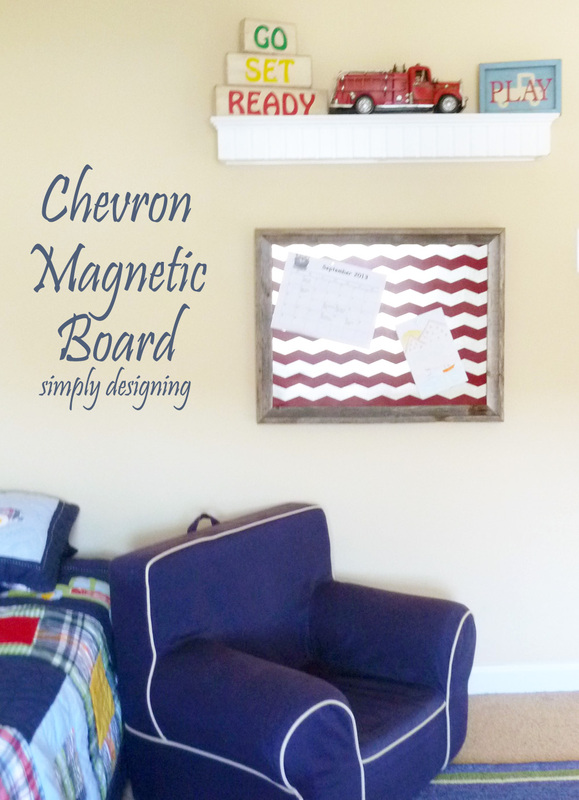 So I decided that he needed a magnetic bulletin board! And I am thrilled with how it turned out! This project started out in one direction and ended up in another! But that happens sometimes. And I actually like my end result better then my original plan! So it all worked out well! First you will cut your hardback board to size to fit inside your frame. 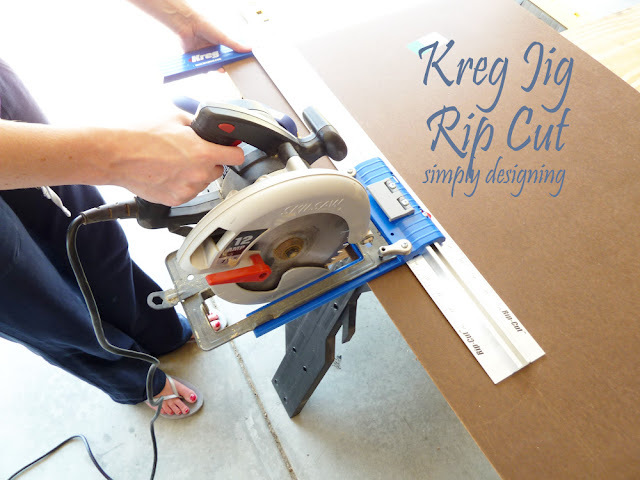 I used my brand new Kreg Jig Rip Cut and LOVE it!! 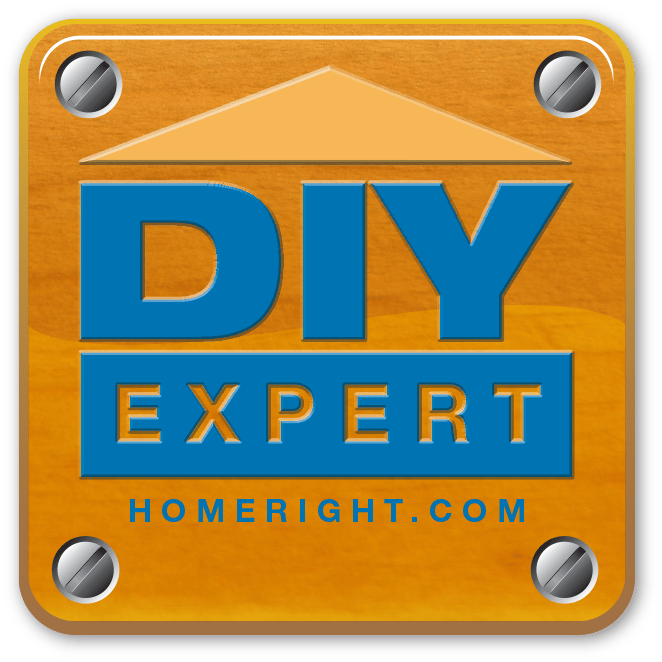 It makes cutting straight lines with your circular saw simple and stress-free. 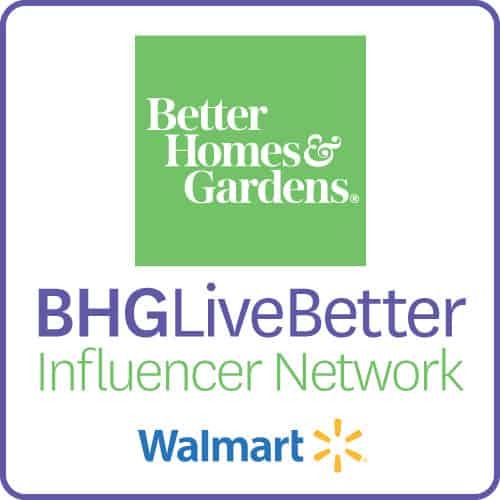 I highly recommend picking one of these up HERE (affiliate link). My original plan was to spray my hardback board with magnetic spray paint so that the board was magnetic. 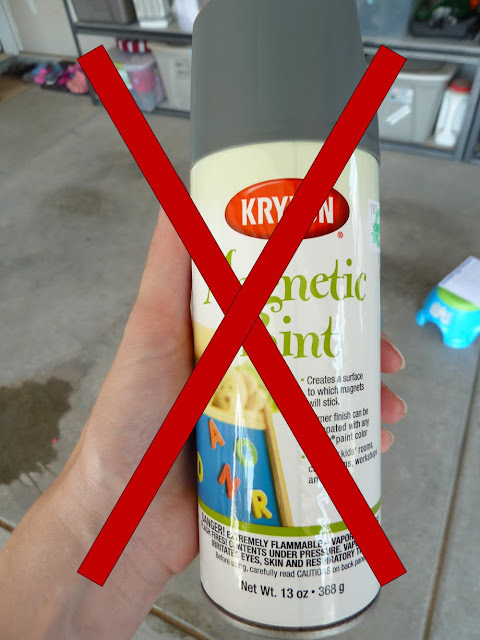 I used the entire can and my board was not at all magnetic 🙁 I typically love Krylon products! I really do! 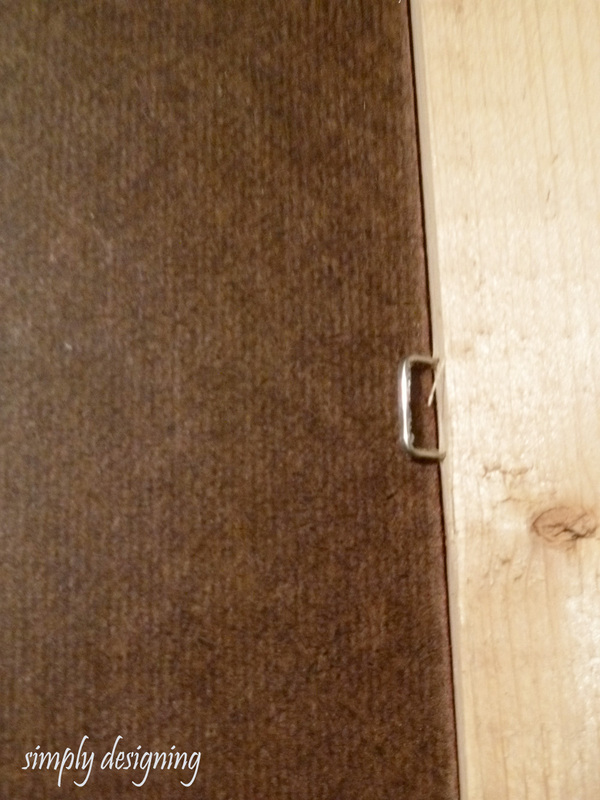 And perhaps this particular product just doesn’t work well on hardback board, I admit it could be a user error. However, this did not work for me for this particular project. So back to the drawing board I went. Sheet metal was more expensive then I was hoping to pay, so I went searching the aisles of my local hardware store for another option. With magnets in my pocket I tested out each and every piece of metal I came across! Finally in the airduct aisle I came across a thin sheet of metal that was inexpensive and magnetic! Wahoo! So off we went to try this again. We used tin snips to cut the metal down to size (and by “we” I mean I asked my husband to do this task for me!). 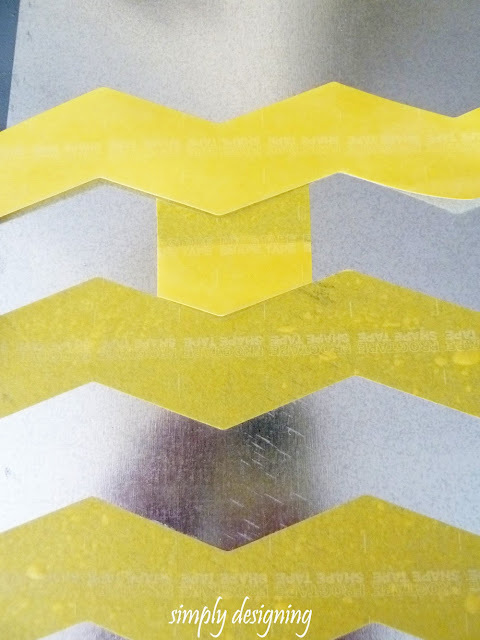 Be careful though as you can easily get cut with this metal…it has sharp edges. 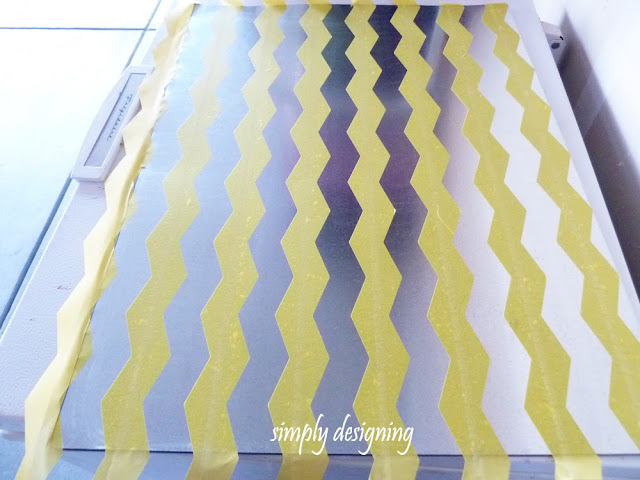 I wanted my chevron lines spaced evenly so I used a small piece of the tape in between each chevron line as a guide. And I wanted to be sure that the edges were all adhered very well, so I used my little scrapper to be sure it stuck down well. 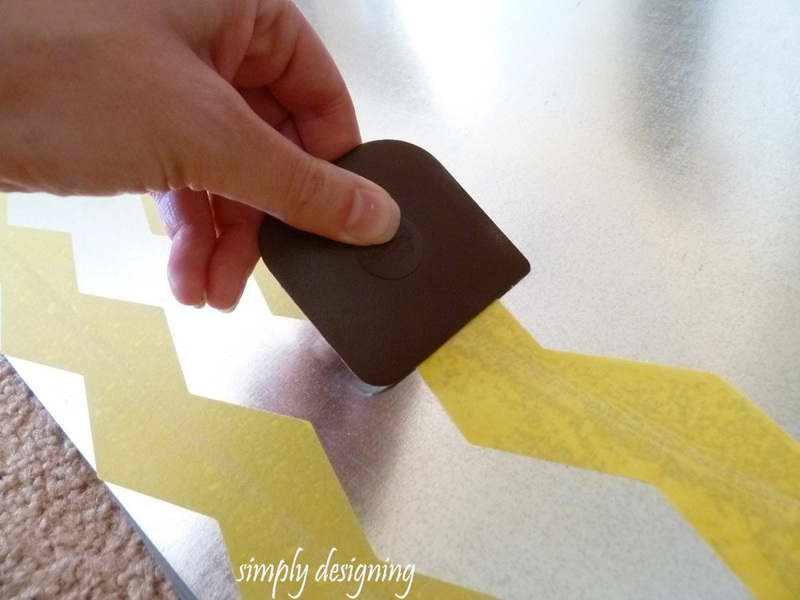 After all of the tape is applied, you will spray paint the metal board any color you want! I used red. Take the shape tape off and let your board completely dry! I’d like to take a moment to tell you how much I really loved using Frog Tape Shape Tape!! 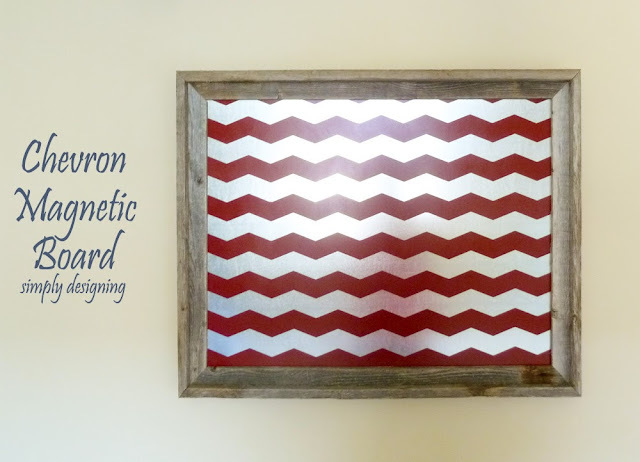 I always worry about paint seeping through and this product did an amazing job of creating clean chevron lines for me! 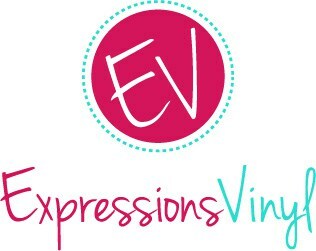 I really do love it and I will be looking for more ways to use it in the future! Then place your metal board in your frame, followed by your hardback board. We used the staple gun to secure all of this into the frame. I bought large magnets for my son to use from good ‘ole +Target and my son was THRILLED to have a place to hang his artwork and creations! We found the perfect spot in his room for his new board and we all love how it turned out! 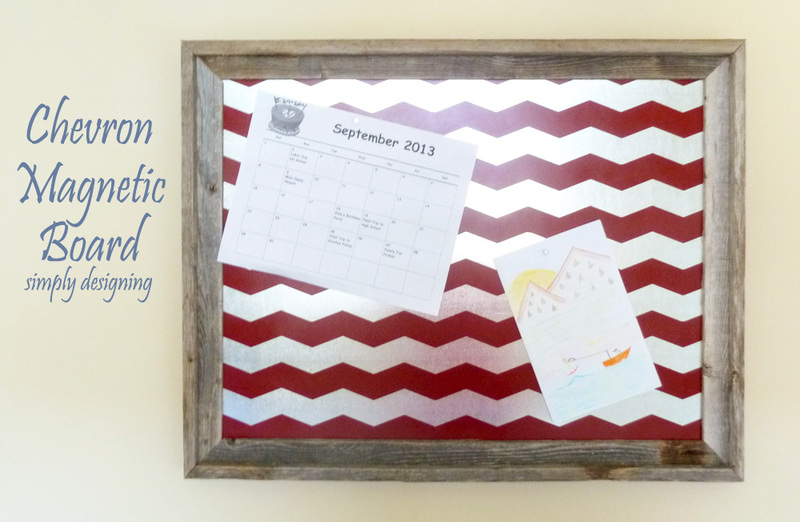 A perfect magnetic bulletin board to keep all of our son’s creations on! I love how it keeps clutter at bay and allows him to choose a few things to display at a time! Plus I really do love how it turned out! It could be a piece of artwork all on it’s own! 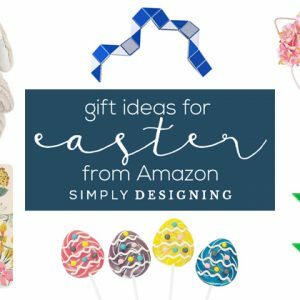 If you like this idea, I would love it if you pinned it! 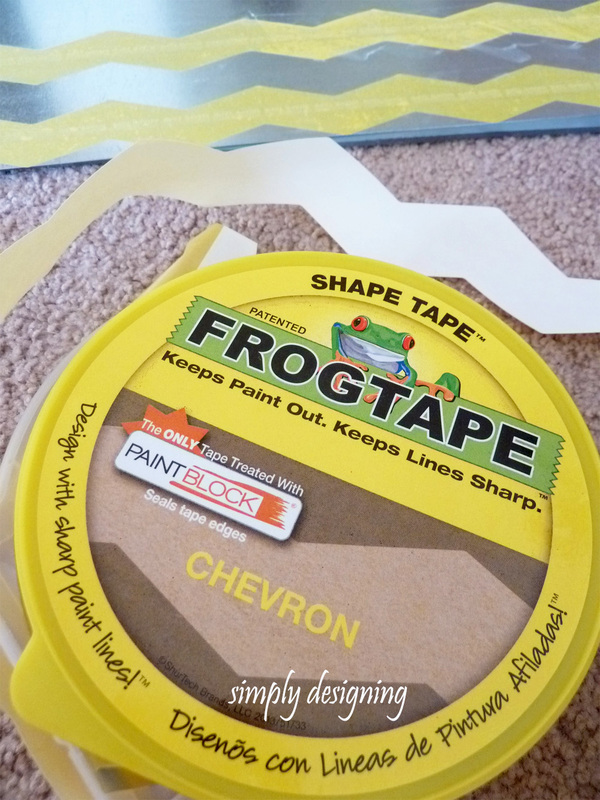 WOW that Frog tape looks awesome..thanks for sharing! It is really fun! Thanks so much for stopping by! Hi Ashley! I absolutely love this board! Great idea! Thank you so much for sharing! Blessings from Bama!